Who else wants stats for ANY Instagram account? Stats are good, right? I’m always searching for ways to look at how my content is performing, whether it be on my blog, twitter account, Instagram profile, etc. Stats provide an understanding of who your audiences are, what they like, and what are your most engaging pieces of content. While looking inward is always a great way to gather insights to improve your practice, it’s sometimes nice (and informative) to see some data on how other high performers within your industry, or your competitors, are doing. HubSpots’ Dan Zarella has recently released an Instagram app called PicStats.com that lets users see details about any non-private account. Remember, this app doesn’t just tell you how complex your language is in your captions; it relates this complexity to the effect it has on engagement (likes and comments). The site is beautifully laid out and visually appealing. Make sure you pay particular attention to the small grey question marks that appear just to the left of each title of the graph – this is where you get a more complete description of what the chart is showing you. Admittedly, this took me a bit to find, but once I did, the utility of the site jumped right out at me. Sorry for the size of the text in this image. I zoomed out to try and capture as many charts as I could to give a visual representation of the types and number of charts the site offers. If you head over to http://picstats.com/u/nike you can read all the details. August is the only month on my calendar where I get a bit of time to catch up on my personal reading list. This year, I spent much of that month reading book after book about social media, marketing, communications and leadership. One book that had immediate actionable content for social media community managers, was The Science of Marketing (2013) by Dan Zarrella. Working for HubSpot since 2009, Zarrella has access to the tens of thousands of data-sets he uses to identify trends and make process and content recommendations on how to improve your organization’s social media presence. Once you get past Zarrella’s description of himself as a “Social Media Scientist”, you’ll find some rather useful information that can help you benchmark and experiment with the social media communities you manage. Content is still your biggest ally, and the most important piece of the social media puzzle. Zarrella’s response to the question “how much should I be blogging/posting” is “more than you are now”. He even suggests that, to increase engagement and shares, the optimal amount of blog posts is three per DAY. Blog posts published on Saturday and Sunday get more comments than posts published during the week. Zarrella considers two reasons for this. First, weekends allow users more time to actually read a blog post. Second, fewer companies publish content on the weekend, which means less competition for attention. In fact, Zarrella suggests that we should seek to publish our content when others are not. He calls this “contra-competitive timing”. Sentiment is important. Posts that are positive get the most comments, shares, and likes. The second most effective are negative posts, which leaves neutrality as the last place finisher. In other words, neutral is boring. If you are going to post something, make sure it contains your tone and think positive first. Calls to action work. 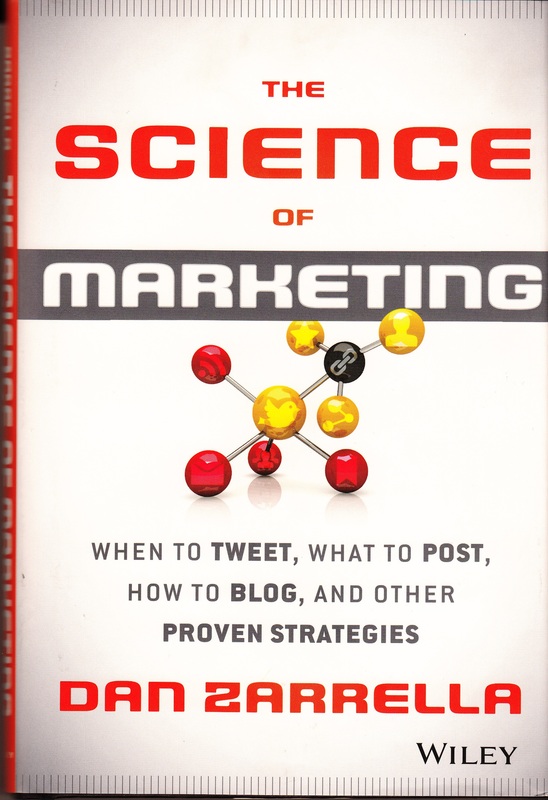 The primary example used in this book is the correlation between retweets and asking for retweets. Zarrella found that simply asking people to retweet your content delivers four times more retweets than tweets that don’t make that request. I wouldn’t use this tactic for every piece of content I tweet, but it’s good information to know if you are responsible for managing an emergency/crisis situation where you need information to spread very quickly. If you want to catch your audience’s attention on Facebook, photos are by far the best option. Zarrella’s research indicates that photos are the most sharable form of content on Facebook, blowing text, video, right out of the water. He even gets down to a very granular level of detail by looking at where within a tweet is the best place to include a link in order to maximize clicks. The answer: right in the middle. He even provides lists of the most, and least, sharable/retweetable keywords. All of these ideas, and about 100 more, are laid out in simple language and charts in this book. The author is quick to mention that his findings are in no way the set-in-stone way to do things that will guarantee success on social media. They are merely data-backed observations that can help marcom professionals tweak and tailor their social media program. In essence, what Zarrella has presented in this book is a look at trends in social media engagement. It’s now up to us as social media managers to use this information to benchmark and experiment and see what works in our communities. You can find this title on Amazon for about $20, well worth the investment.